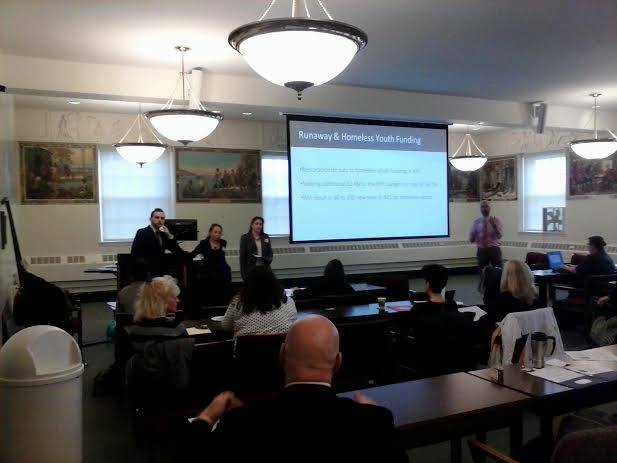 On November 18th the NY Coalition for Homeless Youth held their annual conference on the UAlbany campus. The Coalition is a statewide advocacy organization that develops and implements programs and services for youth and their families, advocates for resources, and disseminates expertise and knowledge related to homeless and runaway youth (RHY). In partnership with the National Center, the Coalition hosted agencies from across New York State, as well as representatives from the Office of Mental Health (OMH), the Office of Children and Family Services (OCFS), and the Department of Housing and Urban Development (HUD). statewide policy challenges and advocacy. Additionally, Heather Larkin (Co-director of the National Center) presented on adverse childhood experiences (ACEs) and developing ACE-informed programs. And, Amanda Aykanian (Doctoral Assistant at the National Center) facilitated a roundtable discussion on identifying funding sources and understanding opportunities available under Medicaid and the Affordable Care Act. 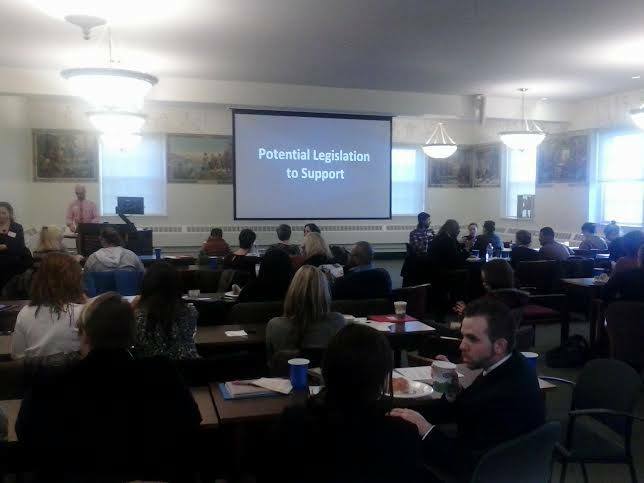 Policy advocacy was a common talking point at the conference. A major component of the Coalition’s current efforts is advocating for an additional $2.4M for RHY services in New York State. This money would be a partial restoration of the state’s RHY budget, which has been cut significantly over the past several years. The cost of an emergency or transitional living youth shelter bed ranges from $20,000 to $35,000, depending on the location, and this money would be used to re-open beds in both urban and rural locations. This is a big task, but the presence of OMH, OCFS, and HUD at the conference is encouraging. The National Center hopes to continue supporting the work of the Coalition, and looks forward to future collaborations. An upcoming blog post will highlight the Coalition’s work and priorities. In the meantime, check out their website and like them on Facebook. Below are some pictures from the conference.